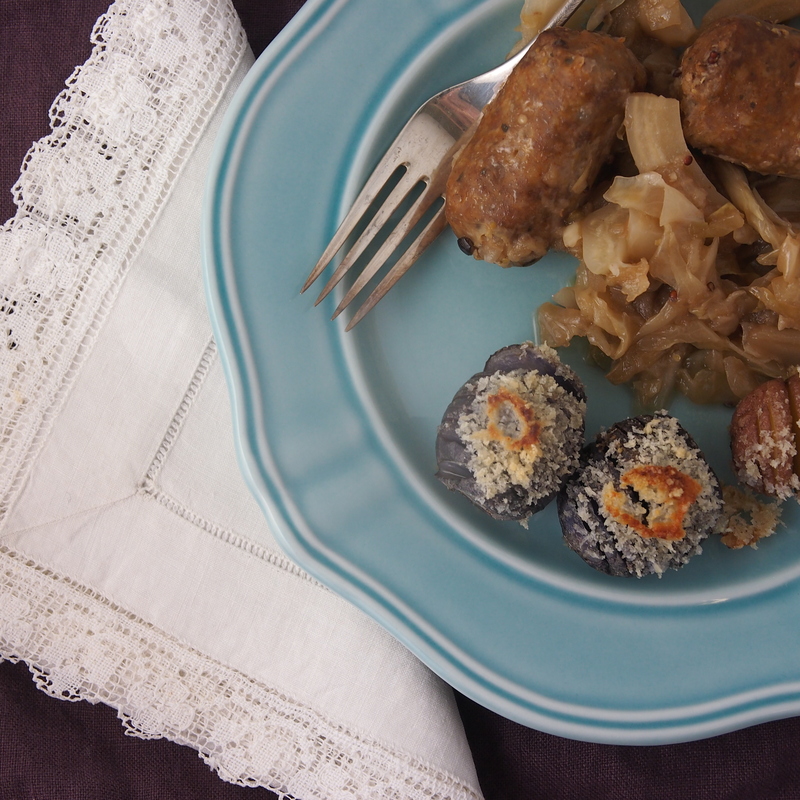 When I lived in Lithuania cabbage rolls were frequently on the menu. The filling was meaty, the cabbage tender and sweet and the sauce was just sharp enough to pull the whole dish together. I haven’t figured out the secret to cabbage in my own kitchen. It never quite gets to that tender and sweet stage. So it’s never made it into my repertoire. Still, just about any time I get the urge to diversify my vegetables, a head of cabbage makes it into the vegetable drawer. Figuring my tenderness issue might be fixed with my new slow cooker, I recently tried Southern Slow Cooker Choucroute from Food52. I’ll give it a solid B. Part of the lack was that I couldn’t find the right sausages. I think next time I’ll cook the cabbage longer. And I think I’ll add more apple. In the meantime, I’ll try to get to my favorite German restaurant. They don’t have cabbage rolls but they do have craveable sauerkraut.